A simple yet very effective way to train your legs - and pretty much everything else as well - are partner squats. Popular in Japanese martial arts classes. At least in my experience. What is it? A partner squat is simply a squat (usually a half-squat) with another person on your shoulders. These strongly resemble sandbag squats, where you've got the sandbag across both shoulders, or any squat with a yoke. How do I do it? You can have them sit piggy-back style while you hold their legs and squat, hold them in a fireman's carry across one shoulder, or hold them across your shoulders by gripping one leg (as they cross their ankles) and their arms or shoulders. You then squat down. Go as deep as you can before the partner's body halts your depth, and then stand back up. Keep your chest up! This is difficult, but just like any other squat, you don't want to "good morning" the weight up. Don't bounce! It makes the person harder to balance. If you're on top, acting as resistance, stay still and keep your weight centered on the person, not towards your feet or head. This will help avoid any accidents or falls, none of which are fun for either partner! How big of a partner? Fair enough, you want someone around your size so when you switch off you both get an even workout. But you don't always have a choice. Consider this functional training - you're leaning to pick up a weight that isn't adjustable like a barbell or even reliably weighted like a sandbag. People are inherently awkward and difficult to lift, so even a light person can be easier than a heavy barbell! What else can I do? You can do partner lunges, as well, if you are strong enough (or your partner is sufficiently smaller than you). Simply lunge forward or backwards while keeping your partner on your back. Why do I want to do these? It's a good change of pace, and they are great for when you've got a training partner but not much weight. 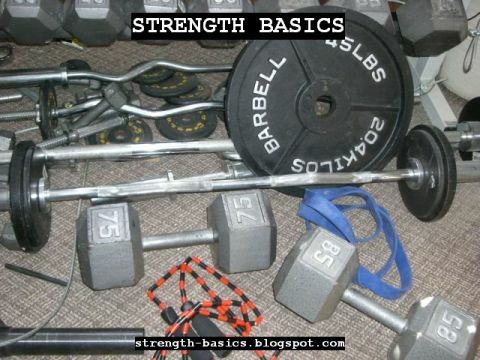 You can adjust the sets and reps to what you can handle. I-go-you-go is a natural way to approach them - you do your set, then your partner does his or her set, and back again. It's a fun exercise to try next time you've got a willing partner but no willing barbells!